﻿ Austyns Restaurant - Ohio. Find It Here. 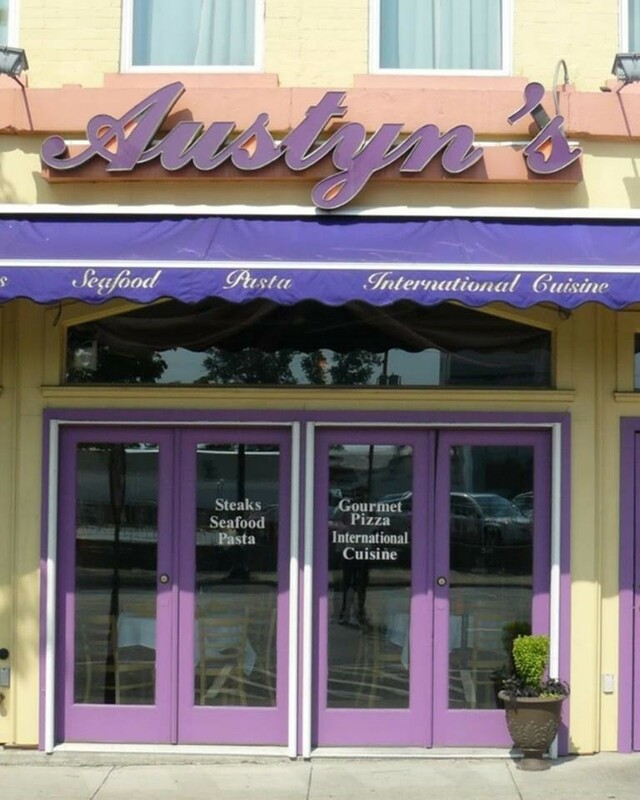 Austyn's Restaurant has won the hearts and appetites of local as well as visiting diners by offering an inviting atmosphere, We offer a "different-than-the-norm" menu, as well as a wide selection of wines, beers and cocktails. Here at Austyn's the wine and drink menus are as diverse as the food.Austyn's is located just steps away from the beautiful Ohio and Muskingum Rivers in the heart of historic downtown Marietta.Marietta is host to festivals, parades and art shows year round, including the nationally known Sternwheel Festival, with Austyn's Restaurant located right in the center of the activities.The cuisine is unique, offering dishes from around the world. The menu features popular dishes such as our decadent cut of lamb, beef of filet, Ocean Feast, Maryland Crab cake.We offer hand-cut steaks, fresh seafood, international cuisines, and pasta. All of our pasta selections are made with Rossi Pasta, which is made right here in Marietta.